Straw Clutch - Handmade from The Bahamas! Ok I'm so happy you mentioned the bathroom part when it comes to rompers. LOL It seems like folks don't want to acknowledge that lil issue when wearing rompers. Super cute. If i had money to spend on clothes right now, rompers and sandals is all I'd buy for summer. Loving your entire outfit! Fabulous! Girl, I love me a romper! Rompers are this short girl's best friend! Not a fan of the bathroom thing either....but hey, it doesn't bother me THAT much. I love your necklace!!! Very cute. I can't wear these though however I do like them on some people. 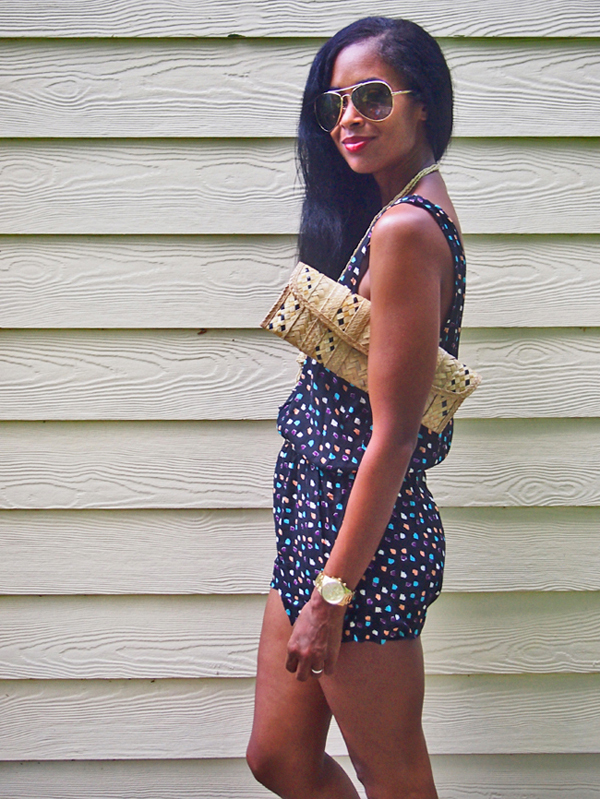 You are one hot mama, I love your romper the print is do fun! From one mom of two to another, you are an inspiration!